A defining clause indicates the specific subject or object that is being mentioned or the person being talking about. In this case, the sentence meaning changes when the relative clause is removed because this clause condenses the principal idea of the entire sentence. However, the sentence is still grammatically correct. "The man who sold me the house has left the city." 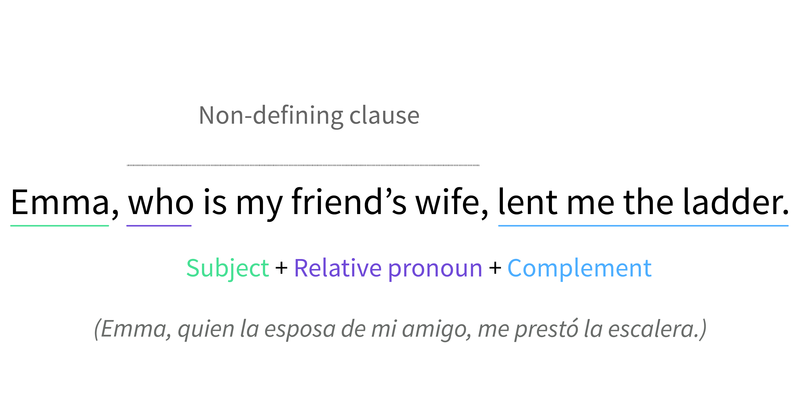 This type of relative clause, also known as a non-essential clauses, gives more information than the defining clause about the subject mentioned. If a non-defining relative clause is removed from the sentence, some details may be removed but the meaning remains. In other words, there is no need of extra information to understand this type of sentence. Which: When an object is being referenced. Who: When a subject is being mentioned. Remember, the clause always follows the subject. "The theater, which is beautiful, was designed by Tom Jon." "The theater was designed by Tom Jon."